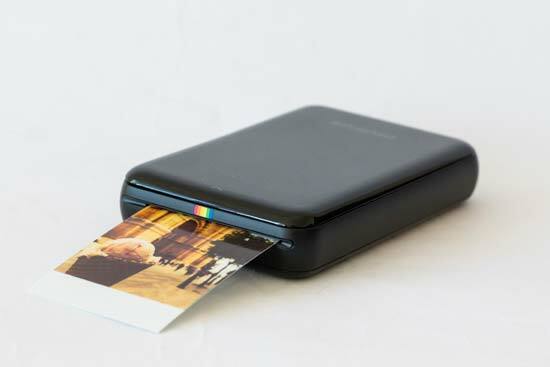 The new Polaroid Zip printer allows you to create 2x3 inch prints which can be sent directly to it from your smart phone or tablet via Bluetooth. 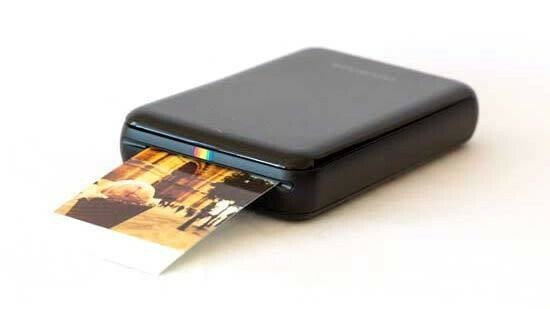 Using ZINK paper, the printer uses special Polaroid paper which is sticky backed so you can attach your prints to surfaces. The printer can work with both iOS and Android, with a free app available to control the printer from your smart device. The Polaroid Zip costs around £110 / $150. 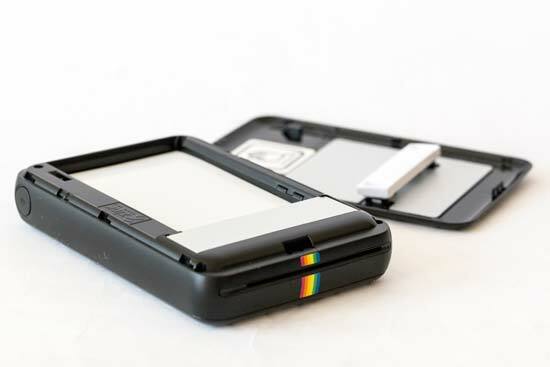 The Polaroid Zip printer is a small device, which could easily fit into your pocket should you want to carry it around with you. There's only one button on it, the on/off switch, as control of the printer is achieved through the smart device app which is available for free from the iOS or Android Store and is called “Polaroid Zip”. 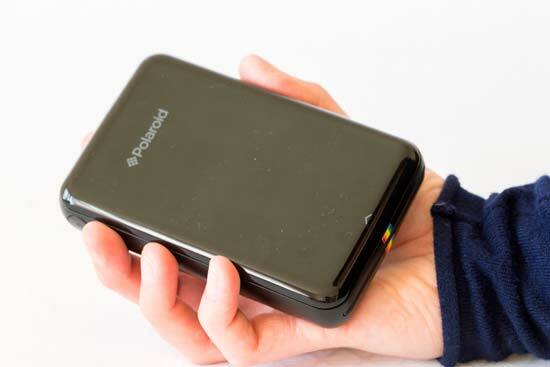 You charge the Polaroid Zip printer via a socket at one end of the printer, and it's nice to see that you don't need to spend money on batteries to power the portable device. When the printer is charging, a small red light will be displayed which will turn green when full power has been reached. It takes around 90 minutes for a full charge from dead to be achieved. Connecting the printer to your smartphone or tablet is very easy. 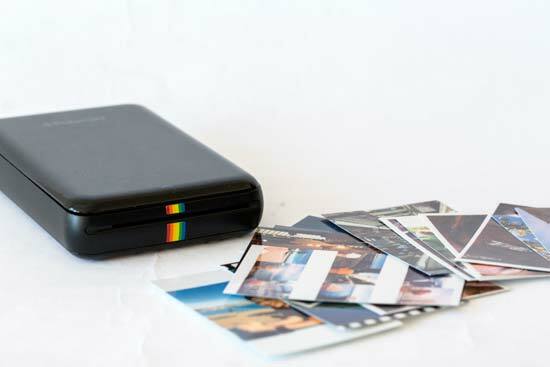 It connects via Bluetooth, and once you've paired the printer to your device, you need to launch the Polaroid Zip app. Once you open the app, you'll notice six different icons which you can choose from. The most basic option, and the easiest way to make a print, is to select the Quick Print option. From here, you can either take a picture with your inbuilt camera, or choose from the stored photos on your phone. From within this part of the app, there's not a whole lot you can do to change the appearance of the photo. You can either choose to print it in its original ratio with white borders around the edge, or have the photo fit the frame. Alternatively, you can select the Edit Print icon, and again you can take a picture with your camera, or choose one from your library. Once you've got a picture, you have quite a few different options to choose from. You can rotate or flip the picture with the first icon. You can also crop the picture by using a pinch to zoom gesture on the screen. With the second icon, you can adjust brightness, contrast and the amount of red, blue and green in your shot. There are quite a few different digital filters to choose from after you've pressed the third icon, which is useful for creating a fun effect. There's things like graytone (black and white) to choose from, as well as more dramatic effects - it's worth having a play around with all of them to see if you can find one you particularly like. Tap the fourth icon if you want to draw something on the picture - this can be fun for adding doodles or words, but since you'll need to use your finger, the results can be a little bit hit and miss. You can alter the size and colour of the brush, and there's also an eraser tool if you want to remove any of the drawing at a later stage. Finally, you can also add a frame or a sticker type object to your photo via the last icon on the screen. These are a little cheesy on the whole, but again are worth experimenting with to see if there's anything that takes your fancy. One frame that may particularly appeal is one that makes your photo look like a classic Polaroid print, with a white border, and large white area at the bottom of the print. Once you're ready to print the photo, you press a printer icon at the bottom of the screen and if the printer is connected it will send the print to be Zip. It takes roughly a minute or so for the print to go through to the printer, and then a further 20-30 seconds for the print to come out of the device. It doesn't sound like a long time, but it can feel like quite a while if you were expecting something closer to instant. Going back to the main screen of the Zip app. There's also the option to create a “Secret View” print which contains elements which can be scanned to reveal secret information. You can create a collage of your shots, with six different layout options depending on how many photos you wish to include in your collage. It's simple to add and remove photos to the collage, and you can save the results if you want to come back to creating the collage at a later time. One slightly odd option is the ability to create a “name card” which will create a business like card with a photo and address on it. It could be useful for photographers wanting to create something a little quirky to hand out to clients / models during a photographic session, though. Finally, from within the app, something else to note is that you can press an icon to buy more paper from the Polaroid store. You can place a one-time order, or, if you think you're going to be getting through a lot, you can set a recurring order. Note that the website is for US customers - but in the UK you can buy the paper from websites such as Amazon.